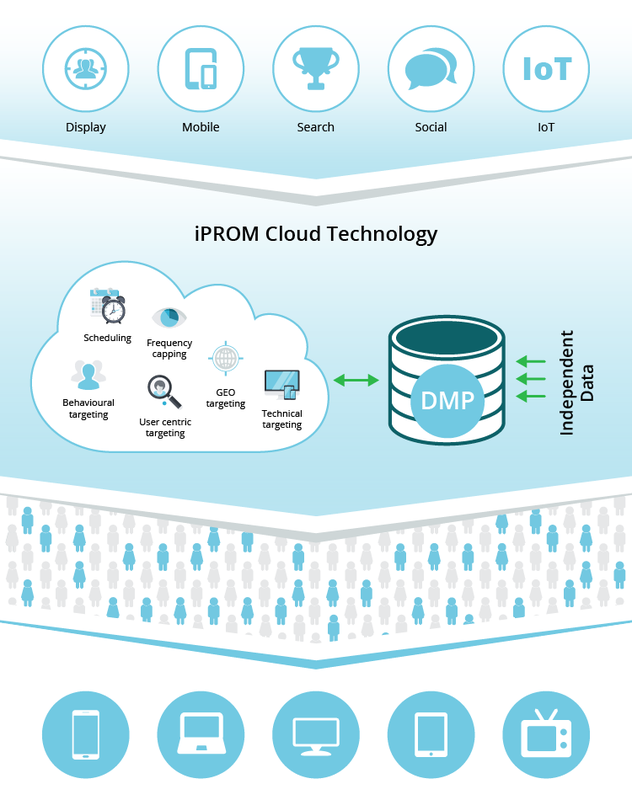 iPROM Intelligence is a part of iPROM DMP data management platform that manages real-world data, i.e. data that is not related to a user, campaign, advertisement or media. Data is acquired in real time from independent providers using APIs and systematically processed on a single platform. Advanced algorithms are then used to deploy them meaningfully into advertising campaigns. Independent data available to iPROM Intelligence includes weather data, stock prices, exchange rates, cryptocurrency balance, public transport timetables, opening hours, traffic data and other independent events (sporting, economic, etc.). This is data that is not related to a user and may affect the effectiveness and results of advertising campaigns in digital media. With the launch of iPROM Intelligence that uses data not considered to be personal to support advanced targeting, iPROM updated its data management platform to iPROM DMP 2.0. »Advertisers will be able to use the new solution that combines processed real-world data and related user behavioural patterns on iPROM Cloud to reach digital media users even more effectively,« said Tomaž Tomšič, head of iPROM Labs.